Out Of Trouble 10 Minute Mask: This is a perfect mask for when you're going out somewhere and notice your skin has decided to well... not co-operate in the way you would have liked it too. You pop this on for 10 minutes and remove it with a damp cloth and it really just takes any irritation or redness away. I'm currently sitting here with it on my chin area as I type this! The only thing I don't like about this mask is the scent but other than that it is great. It is probably my most un-used one out of all three but it's a real life saver when you need something that will work in a couple of minutes! I will definitely re-purchasing these in full size when I do use them up as they are amazing. The full size tubes are normally around the €30 mark which yes is expensive for one product but honestly when they do their job and do it well, it's worth it! 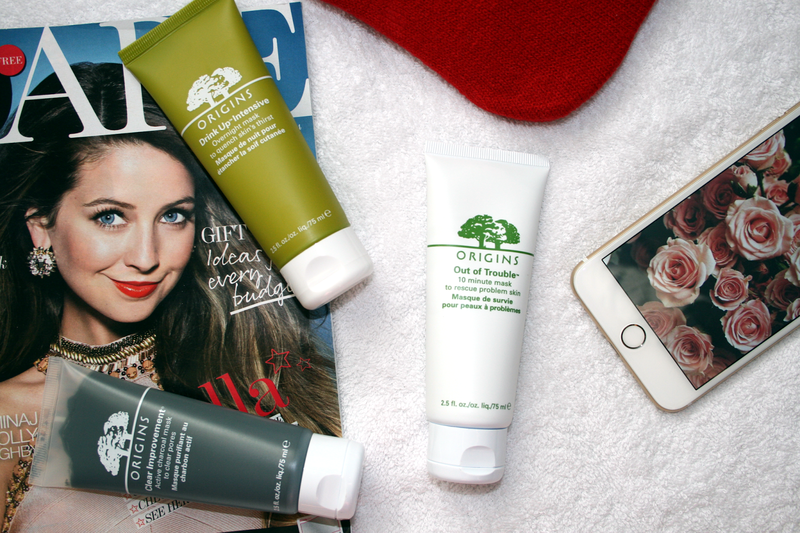 Let me know if there are any other Origins products you'd recommend trying out! Have you tried any of the masks mentioned above? Really want the Drink Up mask!! Wow these sound amazing, especially the drink up mask!! Definitely going to try these now thank you! 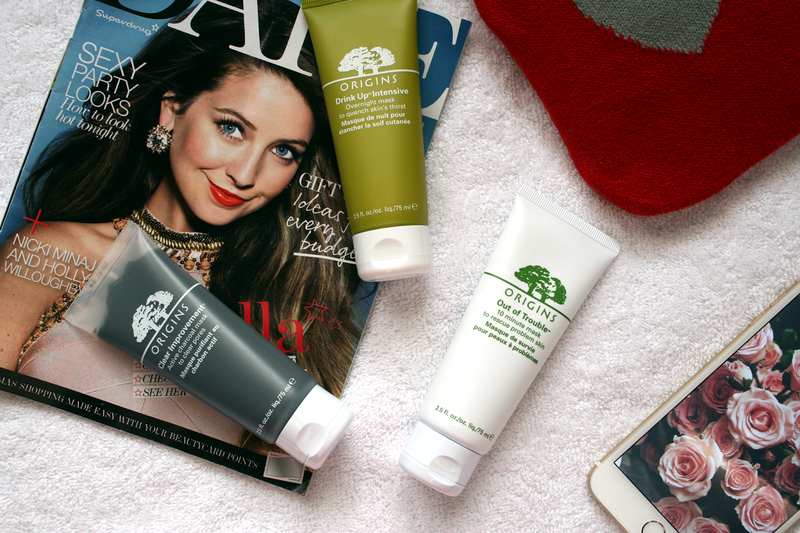 I've tried the Clear Improvements clay mask and absolutely love it, definitely a pamper night treat!